When people were first introduced to e-books, things were quite simple. You purchased an e-reader, and then you purchased books so you could read them on that e-reader. Life is still that simple for some people, but for many others it has become much more complicated as the electronic world has expanded because of the need to convert your e-books from one type of file to another. If you are a regular e-book reader, here are some of the most frequently asked questions about e-book converters to help ease the potential confusion. Why Are e-Book Converters Needed? When people ask questions about e-book converters, one of he first ones is why they are needed. The reason the e-book world became so complex is because of the number of options that are available to you in today’s world. In the past, you probably bought an Amazon Kindle or a Nook and read all your e-books on the device you bought it for. However, since you purchased the e-reader, you probably also bought a new phone, a tablet and maybe even a more curent e-reader. The problem comes in when you want to read your e-books on a device other than the one it was purchased for. That is what causes most of the questions about e-book converters. For example, if you purchase an e-book from Amazon for your Kindle, it will come as a specific type of file that your Kindle can handle. However, if you want to read your book on your phone or on your tablet, it may, or may not work. The device you are using to read the e-book must be able to read the type of file of your original book. In the case of Kindle books, most other types of e-readers can handle those because the Kindle is one of the more popular formats. It makes sense for other e-readers to be able to accept those types of files. But there are simply too many different types of formats for all reading devices to be able to handle. 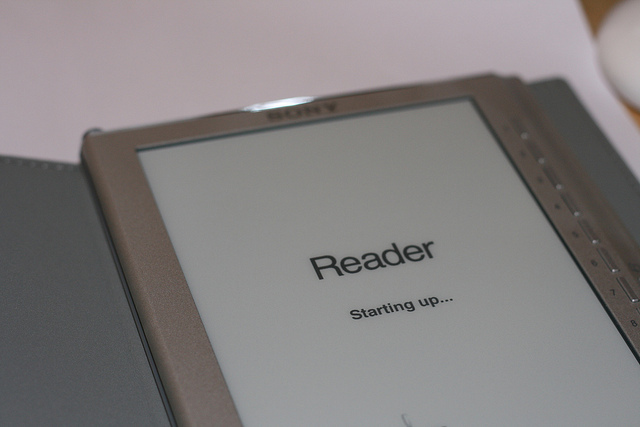 If you originally had a less popular type of e-reader, you may not be able to read the original books you purchased on a new device. However, if you convert the ebook file to one that can be handled by your new device, it will work again. What Does an e-Book Converter Do? The second of our questions about e-book converters is about what the converters actually do. As described above, the converter simply converts the behind the scene code of the e-book that is related to how the book is created. This conversion changes the file extension. It’s somewhat similar to the difference between a DOC file from Microsoft Word and an XLS file from Excel. Answers to some of the questions about e-book converters can be somewhat technical; however learning how to actually do it is much easier. The only difficult part is finding a good online e-book converter to use. It is important to find an ebook converter that is easy to use and can convert your e-book to the type of file your new device needs. It’s a bonus if the file converter also has the ability to convert audio files, convert videos and convert documents. That way when you come across the need for those other types of document conversions, you will already have one ready to use. If you get one converter that handles all of those, you will never have to look for a new converter again! Once you have a converter, it’s as easy as browsing on your computer to tell the conversion tool what file you want converted, and what time of file it needs to be converted to. Now that we’ve answered these common questions about e-book converters, you should be able to handle just about any type of e-book file and convert it so it can be read on any type of e-reader you might have.